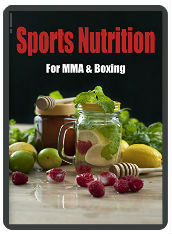 Turmeric is arguably nature’s best anti-inflammatory, great for those doing MMA & grappling. Grappling proper f*cks your joints. Curcumin is the ‘active component’ found in turmeric, which gives it its anti-inflammatory properties. Unfortunately, absorption via the gut is not very efficient. 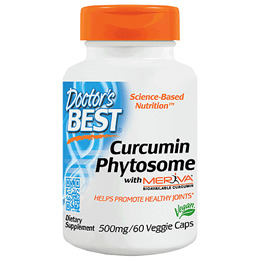 Meriva Curcumin however, contains a phytosome (whatever that is) which in turn increases the absorption dramatically. I have been using this supplement for around a month and have found it really effective – much more than fish oil alone. I would definitely recommend it as a supplement if you have any issues with joint pain and/or inflammation. You can buy it on amazon or ebay. or the Thorne Meriva Curcumin (I believe this is the one which Dr Rhonda Patrick advises). Bear in mind that this product has 180/120 caps, which is 4-6 months’ supply. So it’s worth the money (in my opinion). If you live in the USA, you can buy the smaller size tub to give it a try. Click here to visit Amazon US. Disclaimer – I do have an Amazon affiliate account, but I do actually use this product myself all the time as it’s really good! I would use CBD oil if I was rich enough. Magnesium is also great for relaxing a stiff neck. Go to Google Scholar & Type in “Meriva Curcumin” and you’ll see dozens of results. This pdf has a nice write up on the benefits and concludes that it could be used as a long term treatment for osteoarthritis. This study also concludes that Meriva Curcumin is more bio-available (more potent) than normal curcumin. Here is an excellent academic write up on Meriva Curcumin’s and (standard) curcumin’s potential use in a range of inflammatory conditions & diseases including cancer & various bowel conditions. This study showed that Meriva Curcumin was as effective as 800mg of ibuprofen for treating pain & mobility in patients with knee osteoarthritis. Moreover, curcumin does not increase the likelihood of heart attack & stroke and does not damage the kidneys or stomach lining like ‘Cox2 inhibitors’ such as ibuprofen (evil stuff in my opinion). Obviously it doesn’t help if you’re wrestling everyday and getting kicked & punched. If you have any stomach issues, getting these sorted should be your priority. You can have gut inflammation and/or stomach lining issues. For myself, fasting, glutamine and strong probiotics have helped. I’ve also completely given up dairy and reduced gluten substantially. CBD is good for both inflammation and gut health. I’ve tried using normal cannabis but it actually made my muscles & joints feel more inflamed; probably too much THC.